Pete Stone reflects on the season so far, on and off the pitch. It seems like a long summer since we signed off vs Brightlingsea Regent, but now we are a month into the season and all our teams are underway I figured it would be worth sharing my thoughts on the summer, the start to the season, and where we need to focus as a growing Club. With 5 league games gone, we sit unbeaten on 13 points, and a 2nd Qual Rnd FA Cup tie to look forward to. A million miles away from last season’s start. To be on our own pitch too is a major achievement, an issue that really did stretch our patience over the summer and which continues to progress in the background. I like the way our new signings have settled in, not just to the team but to our whole culture. This is something that Adam and I agree is very important to us, yes, we want talented players but we also want people of a certain character, people who buy into Adam’s values and to what we are trying to achieve as a Club. The squad was much changed v Faversham, but it wasn’t noticeable in our play. Credit to Adam and his support team for assembling such a group. A long way to go yet, and there’s more excitement to come. Our Ladies also had a great start, with a fantastic 1-4 away win at Meridien in the FA Cup being rewarded with a home draw in the 2nd round vs Islington Borough. Karl has made a great start to his career at Worthing FC, managing to build a competitive squad from a very tough position and low numbers in early summer. I sense that he really buys into Worthing FC and has great ambitions for the Ladies Team. As a Club, I’d like to see some decent crowds on a Sunday for the Ladies at Woodside, and for us as a Club to really get behind their effort. Great work all round on the pitch this summer, when you also think we have recruited and launched an Academy and 3 Youth Teams too. I have talked about the vision for Worthing FC on many occasions, so it seems fitting to use that as a backdrop for my reflections. An area of considerable focus for me, and whilst we are making great strides, ultimately the town will be our judge as they come to watch us or contribute or participate in greater numbers. We continue to provide charities with access to our facilities, and over the summer we have mobilised the ‘Grand Match’ on 14th October. Hopefully this will be a well-attended event as we host a re-enactment of a historic game played 100 years ago on our site. The chosen charity is ‘Care for Veterans’, who do outstanding work for service personnel and their families over on Boundary Road. I have met many other great people from our Community over the summer, check out Jan Sheward for example at Cancer United. Football really does bring people together, and there is so much more we can do to benefit the many people and organisations in our town that could do with a little help. Bringing in the junior mascots has been a great success, with young players from Rustington Otters, Worthing Dynamos, and Worthing Utd all leading out the 1st Team in our 2 home games so far. The feedback on social media and direct to me has been very heart-warming, it really does create memories for the boys and girls and it shows the warmth of spirit at our Club. It has also generated new supporters, new advertisers, sponsors, and businesses who just want to contribute to our operation. We will gradually work our way around all the youth teams in our town so that everyone gets the opportunity to experience us. The 1st team breakfast and walk around town was another new experience that was well received. To see people on Montague St staring at our squad, all decked out in Club colours was very impressive. Several boys wanted a photo with the players, and a few businesses have asked us to do it again and to call in and see them when we do. We have also been asked to ‘walkabout’ in a separate part of the town centre so we will be coming to Warwick St and Steyne Gardens very soon. In terms of ‘lowlights’, we need to make much greater use of ‘Bar 7HQ’, a superb facility that really should become a hub for the community during the day and the evening. Yes, it can generate income for the Club, but it should be bringing people together and connecting us to more people in the town. Hosting events, meetings, encouraging people to come in and watch games on the many TVs we have, or just to come in for a gossip with their friends about the football or the town will all make a difference. We also need to build more, and broader, relationships throughout Worthing and its various communities. I am now looking for a volunteer ‘Community Outreach Officer’ who can start to link the Club to local schools, societies, charities, youth football teams, other sports and recreation Clubs and so on. Why is this part of the vision important? 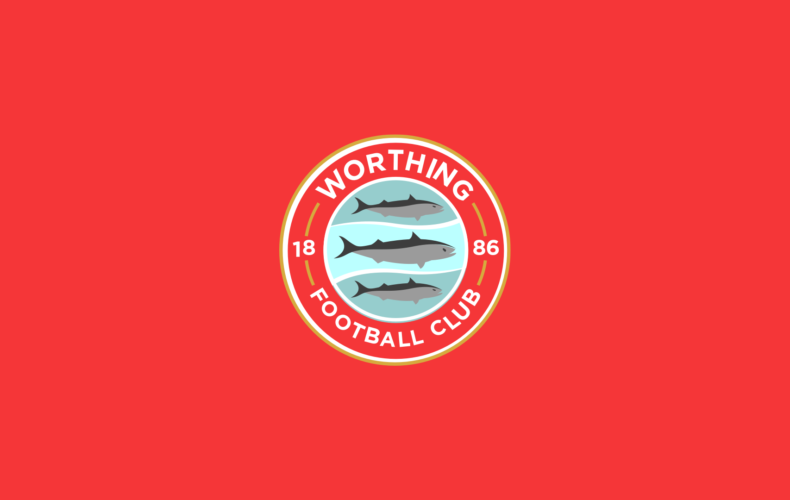 Worthing is a town that is going places, and a big and growing town deserves a thriving and successful Football Club that can connect people behind a common cause. Football is our national sport and it creates as much passion in this area as it does in my native Leeds. Getting this right will not only provide a service to the town, it will attract more and more people to come and watch all our teams and to experience the drama, excitement and friendships that we all really enjoy. An area of great frustration for me. I believe that everybody who follows Worthing FC wants to see the 1st Team progress to the National League and to see our Ladies progress to the elite divisions and beyond. We’d all like to see the Academy and Youth sections grow in numbers too. There is no way we could support or sustain the Club at those levels without significant improvement in the operation, management and development of everything we do off the pitch. 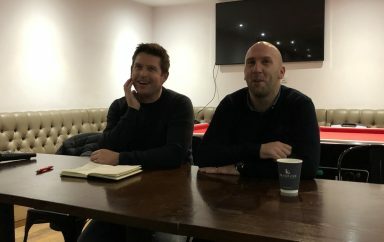 At the most basic level, we need a structure where figurehead individuals are focused on specific roles such as Football Development, Finance, Commercial Development, Community Outreach, Marketing and Media, Operations, Facilities, Bar & Hospitality, Shop & Merchandise, and Fundraising to name but a few…. Our ground also needs considerable repair and attention, to address security, health and safety and presentational issues. All easily fixable but some will require investment and a reliance on volunteers. They will take time, but they must be done. • Communicating with people inside and outside the Club more clearly, timelier and respecting the fact that not everyone uses a mobile device to monitor the Club on social media. • Getting more volunteers involved to spread the load, create a buzz about the place, and allow us to take on more work. People love to be involved with a football Club, so not having volunteers means we are depriving people the chance to do so and share in what we are creating. • Being organised and less confused off the pitch, with people focused on the important stuff and getting things done right and to the highest standards. • Running a high quality online and an onsite shop so supporters and visitors for example can buy kit, clothing, and memorabilia. • Delivering a consistently high quality matchday service. • Being more respectful, communicative and supportive of our Sponsors and Advertisers. • Getting a fundraising machine operating regularly. These are standard items for Clubs operating at the National Level, which is where we aspire to be, and all them have generated considerable negative comment over the summer and start to the season. There are some notable successes to call out. We do have a committed set of volunteers already giving up their time to help the Club off the pitch in a very professional manner. For that we should all be very grateful: Gareth, Roger, Vic, Gary, Sarah, Mike, Marcus, Stu, Sam, Amanda, Nick to name a selection, would all benefit from a bit more clarity and support from the Club, as well as us adding to their numbers. (More on this in the Margate Programme notes). Our social media presence has dramatically improved over the last 6 months, and thanks to the dedication and support of many within the Club we now regularly achieve astonishing numbers of interactions across our platforms. One body, ‘Media Stats’, have just rated us 8.6 out of 10 in the Bostik Premier, a ‘top Club’ alongside Margate, and said we are doing everything right. George’s artwork is spectacularly good, and Sam Caiels’ dedication to pumping out timely and varied content, are making all the difference. Some might say why bother? why make the effort? Well it is no accident that our crowds are getting bigger and bigger, you must make people aware that you exist and help them understand just what kind of Club you are. Then they get curious and come and see what all the fuss is about. If the football is great to watch, and the overall experience on a match day is fantastic, then people come again. It also helps us from a commercial perspective if we are reaching 10, 000s of people, which brings me to my next big success, Matt Gibson. Matt became our Head of Commercial Development earlier this summer and has been an outstanding addition to the Leadership Team. Going quietly about his business, Matt has brought a high standard of professionalism to the way we secure new Sponsors and Advertisers. We are now on the verge of some very exciting new arrangements which we could never have achieved without Matt’s skill and commitment. Watch this space, we should be announcing soon. With Matt onboard, I am extremely relaxed about our ability to be successful commercially and to recover from the awful pitch issues that affected us so badly in financial terms last season. Like everybody else though, Matt could benefit from help. The third and final part of our vision, is an area of real and growing strength. To be successful here we need to be investing in the delivery and development of our football not just in the 1st team but across all our squads, with a consistent footballing and support philosophy running through the Club. We now have 8 squads wearing the badge from U14s through to the Worthing FC Seniors, the minimum that a Club of our size should have. Feedback from the 1st Team squad is outstanding, and now Adam is full time he is leading the way on instilling the same standards in the Academy and Youth sections, working very closely with the extended management and coaching staff he has put in place. I can also see our Ladies adopting the same models and high standards, led by Karl. We are definitely in good hands on the pitch. For me, it’s more of the same to ensure we attract and develop younger players in greater numbers and give ourselves a chance of them coming through into our 1st team. We also need to look at how we can kickstart football for young girls and develop a greater pool of players for WFC Ladies to draw from in the future. So overall, there are many positives for everyone involved in the Club to be pleased about, and we are certainly getting noticed. However, we should all demand more of our Club and keep the pace up. I really want people to be blown away by the way we operate all around the Club, on and off the pitch. 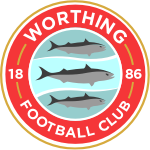 Please contact me direct on Pete@worthingfc.com if you would like to discuss any element of my views or to contribute to the Club in any way.